If you own a business and have a website, search engine optimization (SEO) should rank at the top of your marketing strategy. For many business owners, however, SEO is all too often an afterthought. 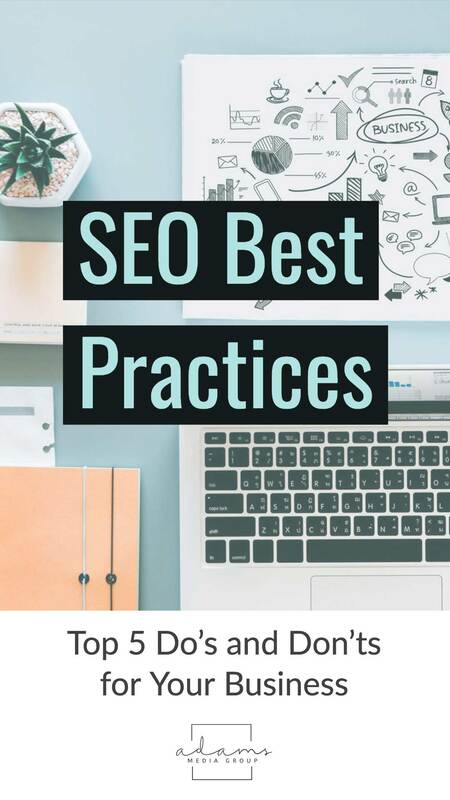 We’ve put together this list of SEO best practices to help you get a better understanding of the basics, learn how to drive more traffic to your website, and ultimately grow your bottom line. Simply stated, SEO is a rather complex process used to improve where a Web page ranks on search engine results pages (SERPs). While algorithms for leading search engines like Google, Bing, and Yahoo continue to change, many of the SEO basics have stayed the same. 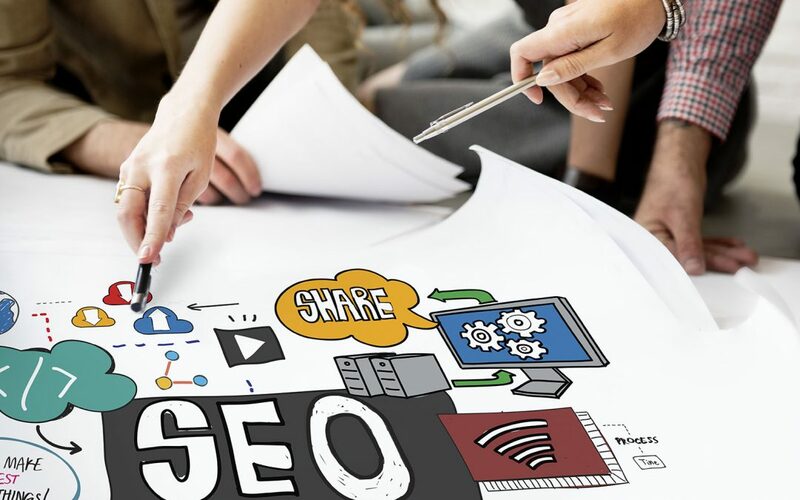 Implementing these basics may not guarantee page-one placement immediately, but doing so can significantly improve your organic search rankings and lay a solid foundation for your SEO strategy to help you improve rankings over time. On-page SEO refers to the optimization of individual Web pages so that they rank higher on SERPs. In order to perform this task, you need high-quality, relevant content. Before you begin drafting this content, however, you’ll want keep these on-page SEO best practices in mind. Headline treatment. Headlines appear as clickable text on a search engine results page just above each Web page’s URL and meta description. Keep headlines fewer than 65 characters in length. Google typically truncates headlines beyond this point. As such, it’s important to position your primary keywords near the front of your headline whenever possible. Meta descriptions. Keep your meta descriptions clear, relevant, and concise. They should provide a brief summary of a page’s content and include your most relevant keywords, including the primary keyword from your title tag and headline. Since Google has adjusted its meta description length limits in the past, we recommend limiting your meta descriptions to no more than 150 characters. Web page URL. Use short, descriptive, keyword rich URLs. Typically, URLs match a page’s headline. While you may find times when you want to create shorter URLs to use on social media or in advertising, keyword consistency in URLs, meta descriptions, and title tags are key. H1, H2, and H3 title tags. H1 tags, which encompass your headline and often mirror title tags, are possibly the most important of all H-level tags because this text appears in Google search. H2 tags and H3 tags are subheadings that support a Web page’s headline and summarize a page’s content. You can use as many H-level tags as you want, but too many tags may become cumbersome and jeopardize your page’s design. Also, while it is good practice to include your primary keywords in some H-level tags, doing so in every tag could jeopardize your SEO efforts since search engines penalize for keyword stuffing. Properly labeled image alt tags. Alt tags should include keyword rich text that describes who or what the image represents. Google indexes this text so that the images appear in Google image search results. Screen reader programs like JAWS also use alt tags to relay image content to the blind. Over the last several years, the Department of Justice (DOJ) has talked about revising the Americans with Disabilities Act (ADA) to include website accessibility. As a result, legal teams have began to scrutinize and eventually sue companies for not begin ADA compliant. We recommend optimizing your alt tags to not only improve SEO but also comply with ADA’s guidelines. Install Google Analytics. Google Analytics allows you to track your website’s traffic sources, page views, visitor demographics, click-through rate (CTR), bounce rate, keywords, shopping cart abandonment, and more. With proper analytics code in place, you can track the success of your marketing campaigns in real time. You can even discover new opportunities for marketing your products and/or services. Install Google Search Console. While Google Analytics shows how individual users engage with a website, Google Search Console shows how search engines engage with or “crawl” the same website. It can help you identify crawl errors that affect SEO and lets you upload an XML sitemap to help Google navigate your website more efficiently. Purchase an SSL Certificate. Without an SSL certificate, search engines will display an error message when users visit your website. This error message basically tells the user that you can’t be trusted. Free, self-assigned SSL certificates can also cause this error message to appear on some browsers. As such, SSL certificates are a must. Not only are they inexpensive but they also offer visitors peace of mind. Add Links to Internal Content. When you link to internal pages on your website, you indirectly tell search engines that those pages are important. The search engines add value to those pages, as a result, which can increase SEO. Add Breadcrumbs. Breadcrumbs are a great way to help users navigate your website and retrace their steps, which can help reduce bounce rate. They also tell search engines how your website’s hierarchy is structured and, in turn, boost SEO. Make sure your website developer has breadcrumbs enabled on your website. Fix Broken Links with 301 Redirects. 404 errors can negatively impact overall user experience and increase bounce rate, which can decrease your website’s credibility and reduce your profit. 404 errors happen when you delete pages from your website. Keep in mind that visitors may have shared that content on social media or on other websites. It’s best to add a 301 redirect to another Web page with similar content or to your home landing page. Pro Tip: Begin your on-page SEO efforts with keyword research. While there are plenty of companies that claim to have free research tools to help you with this task, these tools only utilize a fraction of the data available to marketers. It’s equivalent to purchasing a car based off a picture of its rear bumper. Both of which are ill advised. If you own a storefront or brick-and-mortar business, local SEO is a must. Local SEO will not only improve your company’s organic search ranking on SERPs but, your business may also receive premium placement in the Google Maps listing on SERPs. Pro Tip: Ensure that your listings are consistent across all relevant directories and search platforms, especially on Google My Business, Apple Maps, Yelp, and Bing. Off-page SEO includes social media marketing, digital advertising, and link building. The goal here is to create positive engagement online that drives traffic back to your website. Your brand’s reputation will play an important role in how well you perform. If your company produces low-quality products or poor customer service, your off-page SEO will suffer. The same holds true for content. If you produce low-quality content or fail to engage with your customers online, you’ll reap very little reward for your efforts. Pro Tip: Guest blogging for well-known influencers in your area of expertise is a great way to get backlinks to your website and gain website authority, but don’t forget to continue to engage with visitors. Engagement adds credibility and improves ROI. Also, do not purchase links. Websites that sell links often have poor credibility rankings, which can reflect poorly on you. Erroneous code and large image and video files can impede a website’s performance. Often times, slow load times can deter users and, in turn, increase a website’s bounce rate. If you sell products and/or services online, this could negatively impact your bottom line. 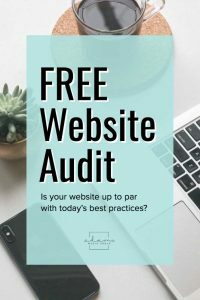 The best way to prevent this is to size your images and video content accordingly and make sure that you have an updated, responsive website built using modern coding techniques. While the adage “content is king” still holds true today. Google has cracked down on websites that contain content that has been duplicated from other websites. Not only is copyright infringement illegal but it can also jeopardize your SEO efforts. In other words, DON’T do it. Consider creating original, evergreen content instead. Simply stated, evergreen content is content that stays relevant over time. Evergreen content will help drive traffic to your company website for years to come and add credibility. Remember, SEO takes time and does not happen overnight. While this article focuses on organic search, paid placement through AdWords campaigns and social media is a great alternative to increasing your online visibility in the interim. A good SEO marketing campaign will utilize both. 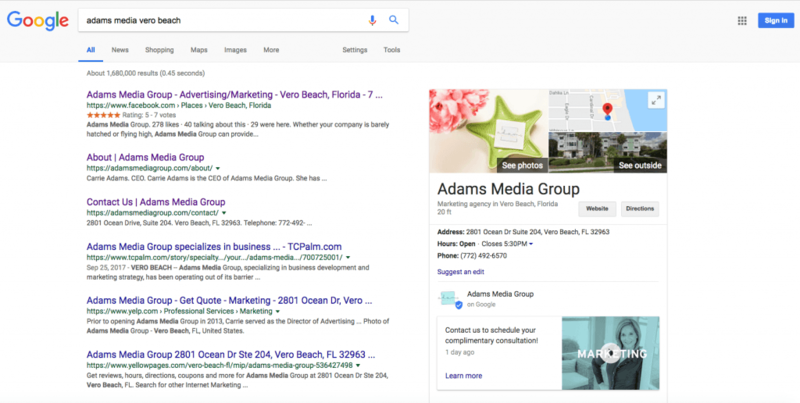 If you would like to know more about how SEO can help grow your business, contact Adams Media Group today.